I had the hots for Connie Francis back then, along with a few million other twelve-year old boys, but I don't think she really knew or cared that I had a crush on her. Oh well. I guess I recovered without too many emotional scars. So, anyway, vacation. Yes, we are on one. We're on vacation. Why do we say that? Why don't we say we're 'in' vacation, or 'doing' vacation, something like that? Regardless, we are doing 'it' and we're definitely 'in' it and 'on' it. Actually, it's been 'vacation' for a few days now. "What prompted that?" You might ask. Well, we had some friends who came in from out of town to visit. These folks are some special friends of ours who we've been running into now and then for a bit more than ten years now. In fact, we've given the group a name - The Eternal Eight. 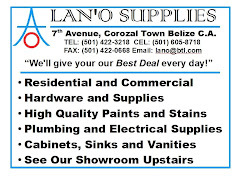 It's made up of four couples, Pam and Roy, from Reading in England (across the pond); Dean and Lori, from Baston Boston, Massachusetts in the US; Judy and George, from London (the other London), Ohio in the US; and Dianna and myself from right here in Corozal. We first got together and met each other on a Windjammer Barefoot Cruise aboard the S/V Mandalay, for a two week cruise in the Lesser Antilles. "Just where is that?" You might also ask. It's the little islands that make up the southern part of the chain of islands in the eastern Caribbean, from Grenada, north to Antigua. The photo below is of all of us at the entrance to Ladera Resort (http://www.ladera.com/), on the island of St. Lucia in 2003. We didn't stay there, we could only afford to have lunch there and tour a suite at the resort. Still fun though. This was the beginning of the Eternal Eight. We'd already bonded and gotten into enough trouble on the trip by this time. That was Dianna's and my second cruise with Windjammer. As I've mentioned before, Windjammer doesn't exist anymore. We all consider ourselves so fortunate to have been able to experience the 'barefoot' cruising lifestyle. It infects us to this day. Now, fast forward to earlier this week, Saturday, 11 February. 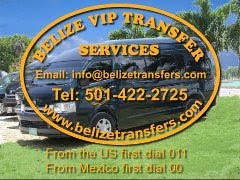 The other six members of the group all landed safely at Phillip Goldson International Airport in Belize City and were speedily whisked away up the Northern Highway toward Corozal by Henry Menzies' capable Belize Transfer Service (http://belizetransfers.com/). As time went on that afternoon, we kept checking the clock, as you do, and began getting more and more antsy. We estimated that, barring problems, they should arrive at our place around five-thirty PM. Of course, that didn't happen. Six-thirty came and went. Finally, around seven-fifteen or so, we saw a van approach and then turn around to come back and stop just outside our gate, causing out crack security team of Secret, Cindy and Deohgee to sound the alarm. I didn't get any pictures of the actual moment of arrival, but I did get a few of the next several hours down in the pool house as we all hugged, kissed, shook hands, and began getting re-acquainted with each other once again. It has been about five years or so since we've been with the group. 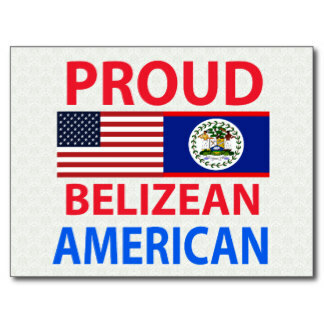 In fact, it was at Lori and Dean's condo in Florida where Dianna and I made the decision that, instead of continuing our year-and-a-half wait for the Peace Corps to find us a site in Africa, we decided to create our own adventure and come to Belize for a 30-day visit. This blog (the whole thing, not just this page) is the chronicle of just about everything we've done since that moment. Conversations picked up seemingly without a five year interruption. We talked until the wee hours of the night. It was several hours later when we actually got everyone with their luggage stowed in their bedrooms, but that's part of the fun and adventure, of rekindling friendships, right? Dianna and I introduced everyone to Sir Barry's Belikin without incident. 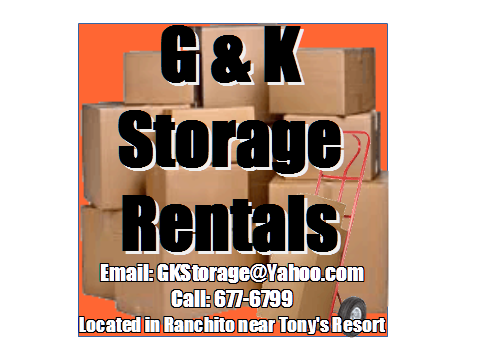 A lot of conversations about previous trips that we were part of, as well as trips that occurred while we were occupied here in Belize getting our place put together. Everything continued the next morning. I managed to get the doggies walked before everybody woke up and the day got started with a set of meat pies from Vivi's. The day before the group arrived, I had taken a Tupperware container down to Vivi's and bought about thirty-five pies. They stayed in the fridge till we extracted them and began nuking them in the microwave. The pies were a hit. Spicy, but not too much for our visitors. 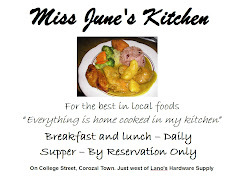 They helped set the tone for meals to come, both here in Corozal, where we stayed for the first three days of their visit, and over at Ambergris Caye, where we spent the remainder of their visit. At various times, jet lag affected all the new arrivals. Dean, who's from Boston, looks to be fading somewhat. Saturday night we went to Corozo Blue's where we demolished a few pizza's. Since the old Isuzu can only hold four comfortably, we asked Cody our caretaker, to help ferry half the crew using his car. He appreciated the extra money, I'm sure. The next day or two was time for more conversation and some exploration. Hikes over to Bay Shore Drive to warm up, followed by a couple of walks into town to check out Cinty's, which is always a hit for unique shopping experiences. Below is a couple of shots of some of the group returning. Monday evening, we went to Tony's Inn for dinner. We thought we'd screwed up as they had banquet seating for about 100 medical missionaries, but we got seated and served good meals with very good service by our waitress, a young girl named Yari. Tuesday morning, bright and early, well, about 8:30 AM, we were picked up by Menzies again. This time, for the lengthy journey from Corozal to San Pedro. It takes a flight of 15 minutes. Of course, there was the usual in-flight movie and since we were flying first-class, free martoonies for everyone (that's what we called, in the Navy, 'A real no-shitter'). It was an uneventful flight. we made up 8/10's of the passengers. Two other unfortunate souls accompanied us on our way over. We were impressed by the instrumentation - all digital on the flight deck (two seats forward from my seat). Major dissapointment ensued upon boarding, however, as there was a co-pilot. I think he may have been undergoing training. I had touted the fact that it's not unusual for passengers to be able to sit in the right-hand seat for the journey. Not today. Upon arrival at San Pedro, everyone (Dianna and me) was impressed with the nice new facility Tropic Air has put in. Quite the improvement over their double-wide. We collected our luggage and called Cholo's (http://ambergriscaye.com/cholos/) to bring our two golf carts. We had so much luggage that everyone except George and myself opted to stroll off into town in search of breakfast. The two of us were directed volunteered to drive the luggage-laden carts out to Debbie's, unload and stow the stuff, and then return to town for breakfast. We got that done in relatively short order with the assistance of Ralf, the caretaker of Debbie's. The group had stopped at the Baker (http://thebaker.bz/thebaker.html) on Front Street. It's a new eatery featuring homemade breads and some great sandwiches. Very tasty. I hope they make a go of it. After George and I made it back to the Baker and had some nourishment, we loaded everyone aboard the carts and off we went, crossing the toll bridge over the San Pedro Cut, heading out to Debbie's (http://www.cayemanagement.com/north17.html). Debbie's is an impressive two-story house, complete with an infinity pool and hot tub, great views of the Caribbean Sea, the reef and trash along the shore. Hey, I'm not lying. The pristine nature of most of the area is really knocked down by crap along the beach. There was also a pervasive odor, sometimes of cooked fish and sometimes of sewage. On with the story. As I did with George on our first trek out there, as we approached the gate to Debbie's, we pulled over to the side and I pretended we had further to go, asking everyone on both carts if they were getting tired, etc. After the appropriate comments from the crew, I sprang on them that we were there and then wheeled up onto the bridge, chasing a fat iguana most of the way down the bridge, till he lost his nerve and jumped into the lagoon water. We pulled into the courtyard parking area and everyone bailed out to begin checking out the place. It is impressive. In addition to the four bedrooms, each with it's own en suite, there's a full kitchen, dining area, living room, a well-stocked library/study, sound system - everything you need to make an enjoyable stay. You do have to plan a trip or three into town to purchase supplies (beer, liquor, and food). Don't bother shopping at the Village Market, the last grocery shop before the bridge. Go ahead and cross the bridge and shop at the stores at the round-about. The Village Market overcharges grossly for just about everything and doesn't give an iota what you think. After laying in enough supplies that if we were to become snow-bound, we could exist for some few months till rescue, we all changed clothes and eased into the pool. With the near constant breeze, the water was a tad cool at first, although everyone soon became adjusted. Some time later that afternoon, we had to explore. We got as far as the White Sands Resort (http://www.whitesandscove.com/) next door. A couple of drinks and an order of french fries later, we felt we were settling in just fine. The Belikin's cold. Unfortunately, the mixed drinks are a tad shy on the hard content, so it behooves you to lay in a supply wherever you're staying and mix your own. Still, it was a very pleasant atmosphere. A big dog lives there. Riley, just a gregarious and gangly hound. He's really easy to make friends with. Wednesday (or was it Tuesday?) we went for supper to Legends Burger House (http://legendsburgerhouse.com/) (I can't get the link to work, but don't let that deter you), back down the track toward the Cut. I never thought I'd say it, but I think I've found a place to rival and possibly surpass the Riverside Tavern in Belize City, as far as great burgers. To see this place in the daytime, it looks as if it could hold five or six folks comfortably. Coming there at night, it is expanded exponentially, and can hold a crowd of maybe forty or so... and a band. Wow! And what a band. It's just a jam session, but they do seem to play regularly together and they sound magnificent. They play an assortment of old gold, and at a volume you can still carry on a conversation with. This place felt like an old pair of Levi's and an old pair of favorite running shoes rolled into one. If I lived on Ambergris Caye, Legends would become my home away from home. I kid you not. This was one comfortable place to hang out and listen to some very sweet music by some folks who love what they're doing and seem happy with their place and lot in life. The burgers being great is simply a bonus. Here's Legends from the outside at night. Makes for an impressive photo. If you miss this place, you missed the best thing on the north side of the island. As you're riding in your cart or bicycle north of the cut, Legend's is just past (or is it just before?) the Palapa Bar (http://www.palapabarandgrill.com/). Either way, you'll pass by Legend's greeter. Picture Gene Simmonds in a tux. This manikin just hangs out there and looks inviting in a weird sort of way. In keeping with the usual theme of the blog, I have to include something related to building/improving/remodeling/etc. don't I? Well, here it is. We've been toying with the idea of adding a deck shower to the pool area at home when we finally get around to removing the wood deck and replace it with concrete and Kool Deck (http://www.mortex.com/products/kd.html). What you're looking at here is a foot bath on the deck at Debbie's. Just dunk your feets before you get in the pool. It helps keep the pool just that little bit cleaner. Ok, so it's not the biggest idea around. I thought it was cool and I wanted to remember it. Who knows we might combine it with the deck shower yet and end up with something more or less unique. Alright, more later. I am on vacation, right?